A visit to the amazing gannet colony at Cape Kidnappers so inspired David Pearson from Levin that he searched (in vain) for some sort of memento to take home by which to remember the elegant gannets and his holiday in Hawke’s Bay in 2012. 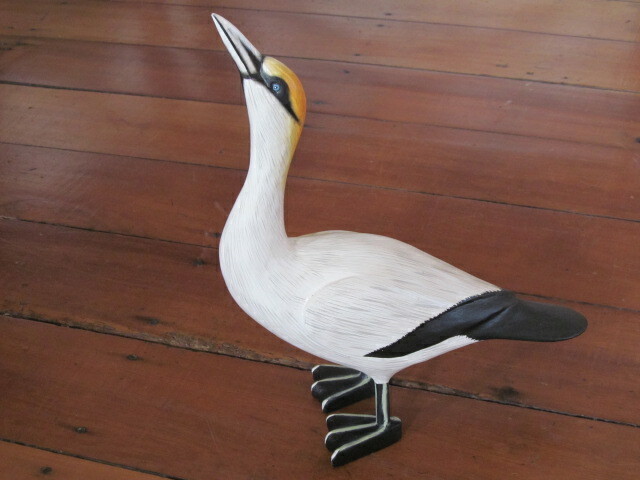 Undaunted, David has since commissioned a group of Balinese carvers to create a small flock of these beautiful and exceptionally well-observed gannets, which are made by hand from Bentawas wood. This is a fast growing sustainable wood grown on Bali and is managed by regular harvesting and replanting. The Australasian gannet (takapu) is one of three species of gannet which belong to the booby family. They are usually found in large colonies on offshore island around New Zealand and southern Australia and have been nesting at Cape Kidnappers since the 1870s. Numbers have steadily increased to 6,500 pairs, which makes it the largest and most accessible mainland colony in the world. 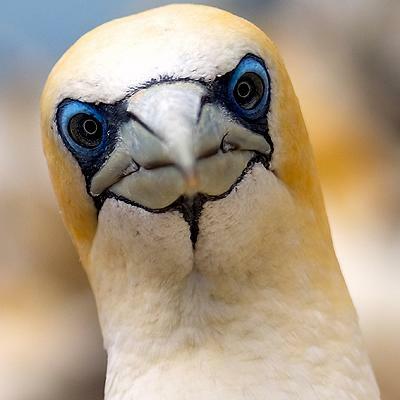 The gannet’s average lifespan of between 25 to 40 years has a remarkable start. The 16 week old chicks, which have never been airborne before, take on a 2,800 kilometre Tasman Sea crossing. Two to three years later, the young birds return from Australia to undertake tentative mating. However, it is not until they are five years old that they nest in earnest, after which most spend their life around the coastal New Zealand seas. We are delighted to be the first to show these wooden birds in Birdwoods Gallery and am sure that they will offer a happy memory to visitors and locals alike. They cost $79 each and are very light to travel with. This entry was posted on Saturday, January 26th, 2013 at 1:36 pm	and posted in Birdwoods News. You can follow any responses to this entry through the RSS 2.0 feed. « The World’s Best Rocking Horses….